For the second year in a row, Russia came tantalizingly close to breaking a string of launch failures extending back nearly a decade. In three days, the nation’s space program would have gone 12 months without botching a launch. Thirty days after that, an entire calendar year would have passed without a full or partial launch failure. Last year, Russia came within four days and 30 days of those marks, respectively. But, it was not to be. The apparent failure of a Soyuz-2.1b rocket to orbit the Meteor-M 2-1 weather satellite and 18 CubeSats on Tuesday added to a string of botched launches extending back to May 2009. During that period, the Russians have experienced 15 failures and four partial failures that have seriously damaged the nation’s once sterling reputation as a reliable launch provider. The table below shows Russia’s tale of woe. Uragan-M #741 Failure Rocket failed to reach orbital velocity after upper stage was overfilled with propellant. Feb. 1, 2011 Rokot/Briz-KM Geo-IK-2 No. 11 Failure Upper stage malfunction. Yinghuo-1 Failure Zenit placed Phobos-Grunt in proper parking orbit. Spacecraft stranded in Earth orbit after on-board propulsion system failed to fire. Jan. 15, 2013 Rokot/Briz-KM Kosmos 2482 Kosmos 2483 Kosmos 2484 Partial Failure Upper stage failed near time of spacecraft separation; one satellite destroyed. 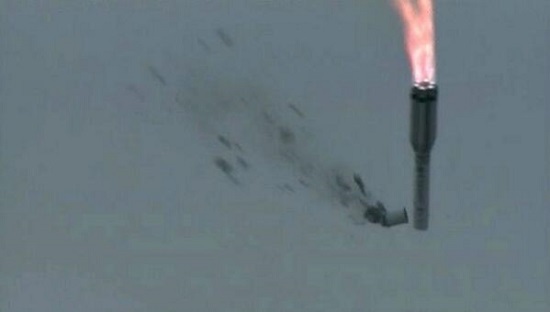 Uragan-M #750 Failure First stage failure due to sensor being installed upside down. Rocket arched over after launch and crashed in a fireball near launch site at Baikonur Cosmodrome. May 16, 2015 Proton/Briz-M MexSat-1 Failure Third stage failure anomaly. December 1, 2016 Soyuz U Progress MS-04 Failure Third stage failure. Progress supply ship burned up in atmosphere. November 28, 2017 Soyuz 2-1b Meteor-M 2-1, 18 CubeSats Failure Suspected Fregat upper stage failure. A leading theory for this latest failure — and it’s still early yet — is the booster’s Fregat upper stage fired in the wrong direction, sending it and its 19 satellites plunging into the Atlantic Ocean instead of soaring into a higher orbit. Russia has three more Soyuz launches planned for next month. On Dec. 2, a Soyuz-2.1b rocket is set to launch a military satellite from the Plesetsk Cosmodrome. This flight will be followed by the launch a new three-member crew to the International Space Station on Dec. 17. Neither Soyuz rocket appears to use the Fregat upper stage. However, there are two other launches planned for December that do use that stage. On Dec. 22, a Soyuz is set to launch the Kanopus-V 3 and V4 Earth observation satellites from the Vostochny Cosmodrome. Four days later, a Zenit 3F booster is scheduled to loft the AngoSat communication satellite from the Baikonur Cosmodrome in Kazakhstan. Russia’s booster problems have caused it to lost is annual lead in launches last year, falling to third behind the United States and China. A similar result is expected this year. Russia has launched 16 times with one failure in 2017, which places it 11 behind the United States (27 with no failures) and two ahead of China (14 with one failure and one partial failure). A key reason is that manufacturing problems have left Russia’s workhorse Soyuz and Proton boosters grounded for extended periods of time. Proton was grounded for a year after a second-stage anomaly during a June 2016 launch. The Briz-M upper stage compensated for the under performance, placing the communications satellite in its intended orbit. As Russia’s problems have continued, the nation has been losing out on launch contracts to SpaceX and its low-cost Falcon 9 booster. With failures like these, the Russians are practically GIVING their business away to SpaceX and other providers. Sadly someone will probably slip and fall off their balcony for this. This never would have happened if the union was still soviet-ing. Perhaps we did not hear about those failures behind the Iron Curtain. So no failures under the USSR. Yeah, that is the ticket. They had lost it long ago due to economics. And once BO hits the market with their reusable orbital 40+ tonnes vehicle, we will see SX prices cut by 33-50%. At that point, I can not see anybody competing with eelv, even though both China and India manipulate their money to make things cheap. And if you don’t want to hear about them, never mention the Nedelin Disaster. It was precisely the sort of overstretch that Russia now finds itself in. The corruption had yet to seep in so deep, but the results were worse for the ground crew. At first glance that title picture looked like a Proton sitting nose down in a snowfield with the engines still firing. First thought after that was “wow, how did it fail like *THAT*?!?!?!?”. LOL. Wow. Good article. But, it got 1 thing wrong. Spacex is not a true threat to them it is SpaceX AND Blue Origin that are the threat. Right now, SX is charging what the market will bear. But once BO hits, my gut says pricing will drop to 20-30 million for 40 tonnes to LEO. With A5 still in 100+ million for ~20 tonnes, then Ariane space will not be able to survive, even.with EU subsidies. Trouble is, we have absolutely no data about BO’s ability to launch rockets at competitive prices. They aren’t even selling suborbital launches, in spite of having a reusable launcher. Even ignoring manned suborbital flights, they aren’t even competing with unmanned sounding rockets, a $100m/yr market in the US alone, even though New Shep should just be gas’n’go. Over nearly two decades, they’ve built 6 vehicles, including both the capsule and their first jet-powered “flying bedstead”. Not six designs with varying numbers of vehicles of each design, but just six vehicles, six pieces of hardware. BO and SpaceX were founded within two years of each other (BO earlier). SpaceX launched more rockets since September than BO has built in 17 years. Attacks, scorn and caustic comments against ANYTHING Russian in the past few years from ALL media sources are getting dangerously close to bigotry. Everybody gather round rocket for warmth. If there were no tragedy–it wouldn’t be Russian. Well, at least I am now running the world oil market … oil, gas and weapons are about all we have left no wthat our space program is failing — Pres Vlad? Yep, it looks like one less viable competitor for the non-Russia space delivery market. Yet others continue to press in to the smaller end of the market. So … SpaceX, UAL & Arianespace are the successful launch rate leaders with about 10 others doing small or national security launches? Are they all fighting it out for about a 100 launch per year market? We aren’t attacking Russia. Thats dumb. Its like blaming the US because a spaceX or a Atlas fails. Thats not the US thats the people in charge of the organization. Roscosmos has been on a trend of more and more failures of what were stable reliable rockets and a horrible new rocket program. Russia has many good rocket scientist. Not as many as it once did but some good ones. This shouldn’t be happening and the fact that it has gone on so long means no one is doing the work to fix it. hey, you have it backwards. Many ppl are frustrated that a nation that has been decent at Space, is losing it. I think that you will find many here that oppose Russia’s politics, but still want to see Russia succeed WRT space and future/.